Hon. 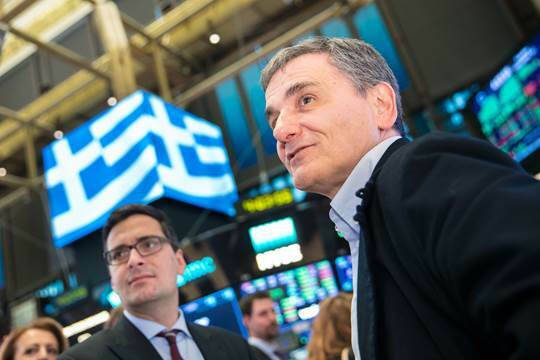 Euclid Tsakalotos, Minister of Finance of the Hellenic Republic, rang “The Closing Bell”, ending the trading session on Tuesday, December 12th 2017. Mrs. Nicole Petallides, the New York Stock Exchange (NYSE) anchor for The Fox Business Network welcome the Government Delegation. The participants of the “Closing Bell” ceremony included from the Government Delegation: Hon. Euclid Tsakalotos, Minister of Finance of the Hellenic Republic, Hon. Elena Kountoura, Minister of Tourism of the Hellenic Republic, Mr.George Tziallas, Secretary General for Tourism Policy and Development-Ministry of Tourism, Dr. Constantine Koutras, Consul General of Greece in New York, Nicolas Bornozis, President Capital Link, Olga Bornozi, Managing Director Capital Link. Finally participated the below listed and non-listed Companies and Associations: NATIONAL BANK OF GREECE, PIRAEUS BANK, ALPHA BANK, CITI, EUROBANK ERGASIAS SA, GOLDMAN SACHS, HELLENIC CORPORATION OF ASSETS AND PARTICIPATIONS S.A., HELLENIC FINANCIAL STABILITY FUND, INDEPENDENT AUTHORITY FOR PUBLIC REVENUE, HELLENIC PETROLEUM , INTRALOT SA, LEVANT PARTNERS AIFM, OLAYAN INVESTMENT GROUP, GNTO, UBS, WATSON FARLEY & WILLIAMS, ZEPOS & YANNOPOULOS. 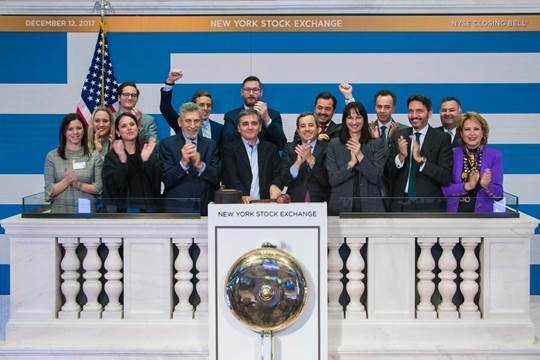 The active support and participation of NYSE, the world’s largest stock exchange, enhances the prestige and the visibility of the Forum and of Greece to a wide international investment audience. It also shows the stable support to Greece, the Greek companies, the Greek shipping industry and the Diaspora. 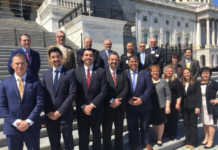 The Securities and Exchange Commission of the United States of America is a major source of capital for the growing number of Greek interest companies and the NYSE plays playing a leading role in this. 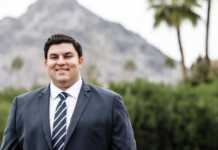 Capital Link is an Advisory, Investor Relations and Financial Communications firm. Besides the customized Investor Relations programs tailored to each specific client, Capital Link is also known for the organization of large scale high quality maritime and investor forums in key industry centers, such as in New York, London, Athens, Shanghai, Limassol and Singapore. Capital Link organizes fourteen conferences annually, of which seven are focused on the maritime sector. 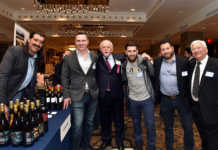 Capital Link’s events draw the elite of the financial, investment and maritime communities and provide a unique combination of superior informational content, marketing and networking opportunities. Capital Link’s global marketing platform enhances the visibility and reach of these events during the year on a global scale that lasts well beyond the date on which each event is held, becoming a continuous reference point for market participants. Previous articleΤι κάνει ένα παιδί ευτυχισμένο τα Χριστούγεννα?